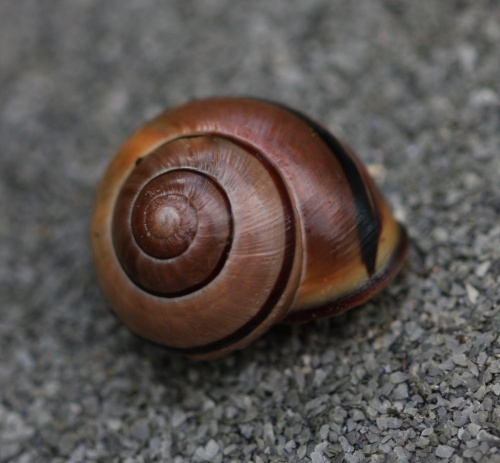 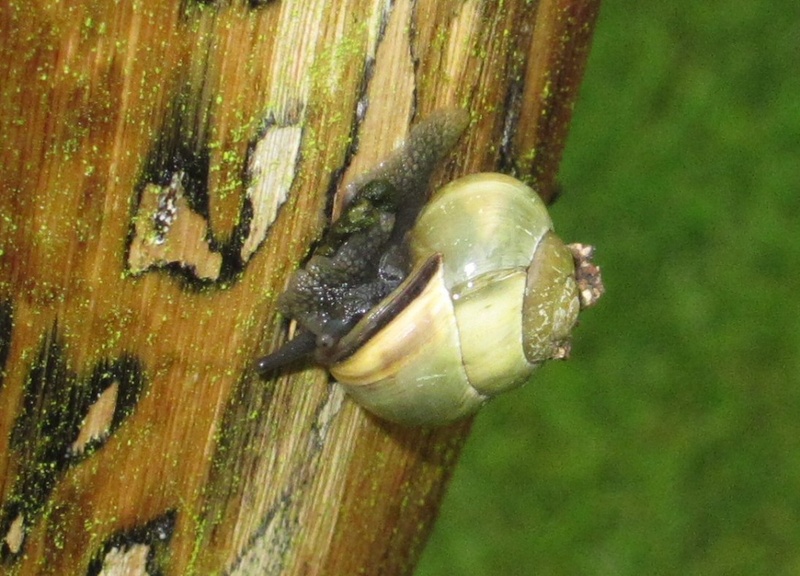 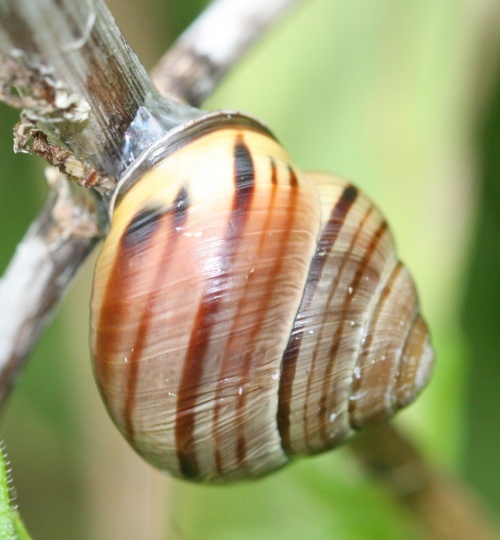 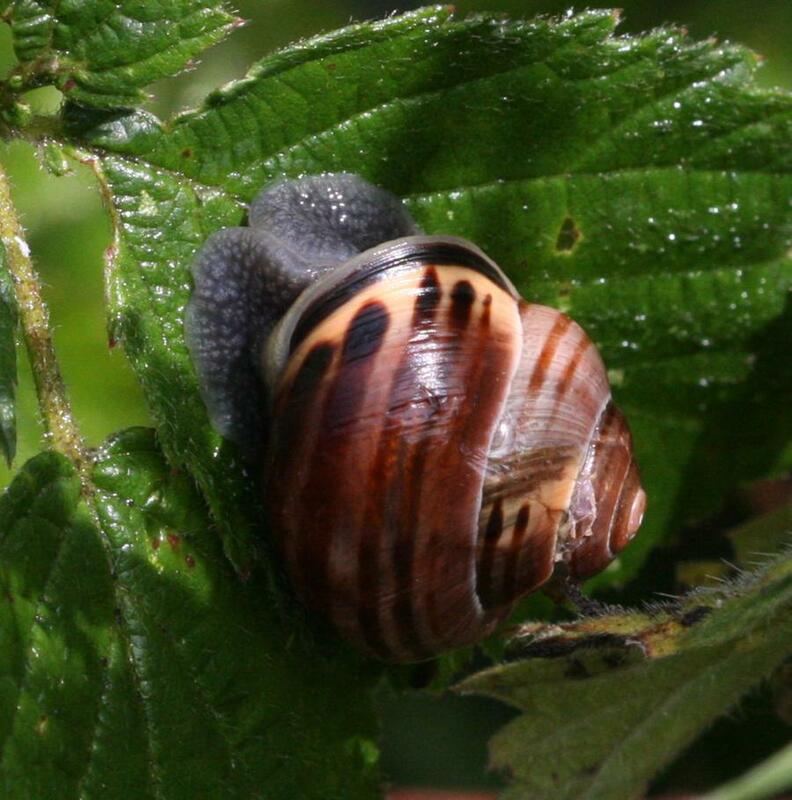 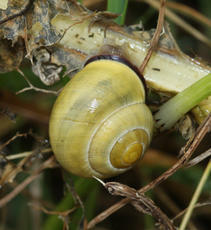 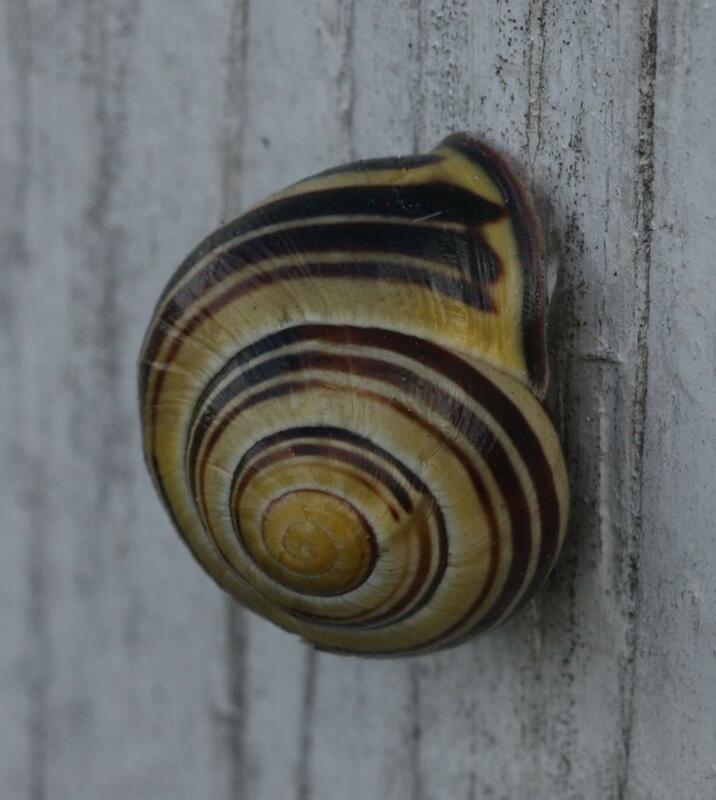 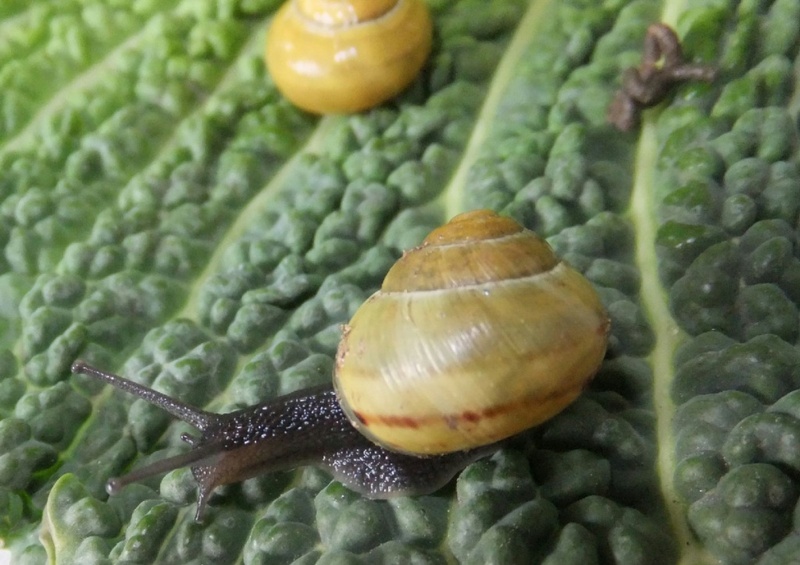 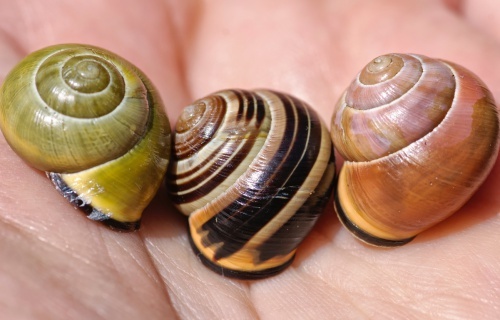 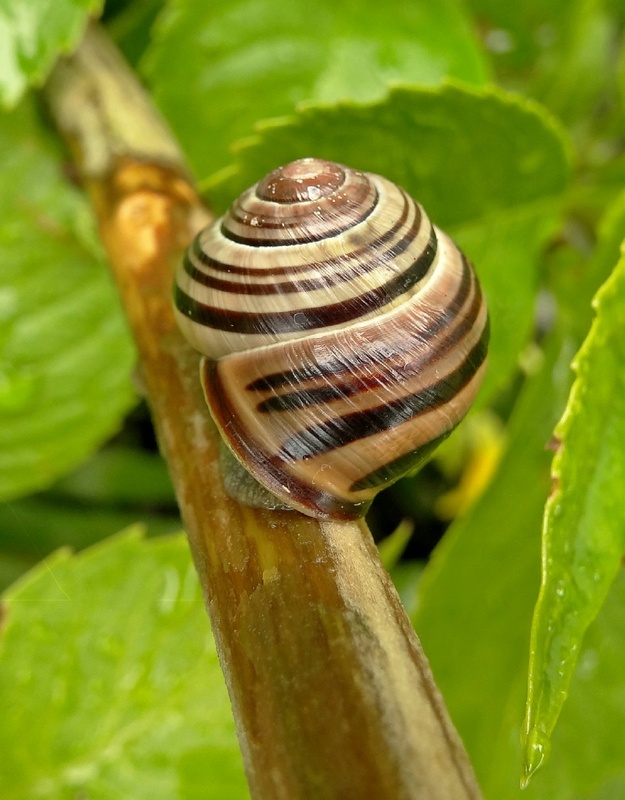 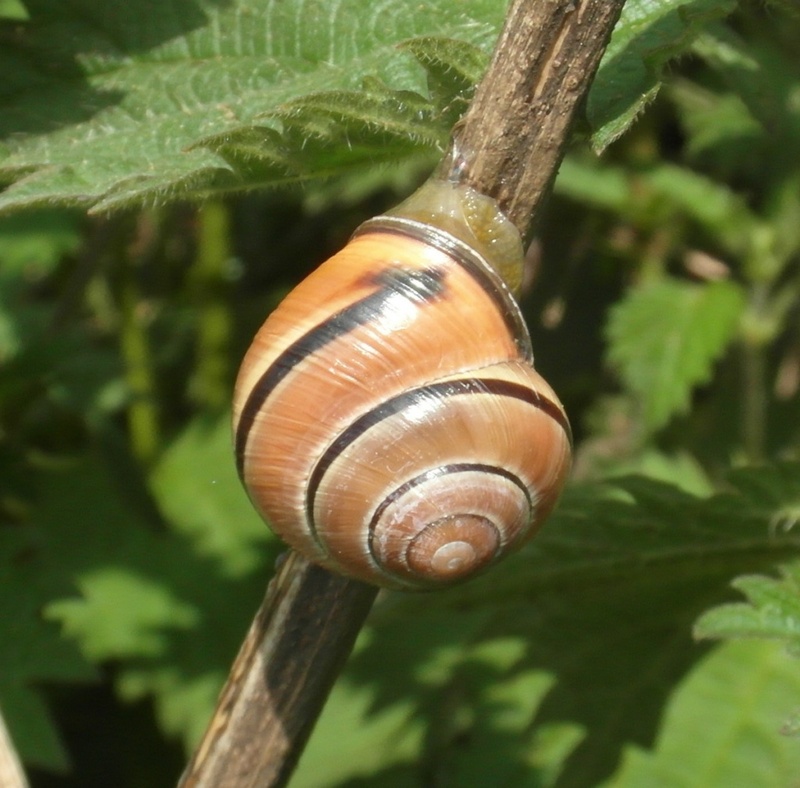 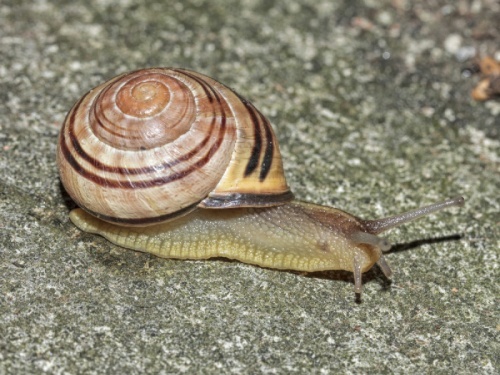 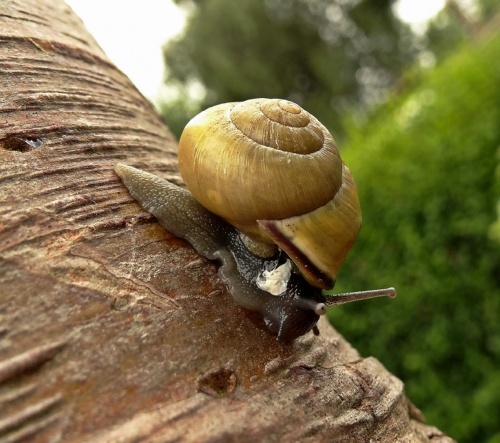 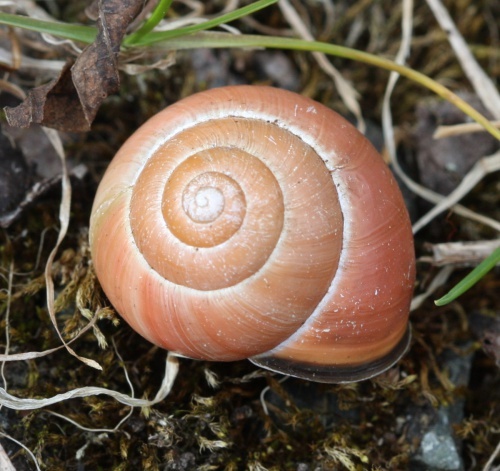 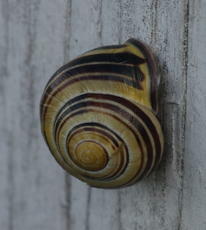 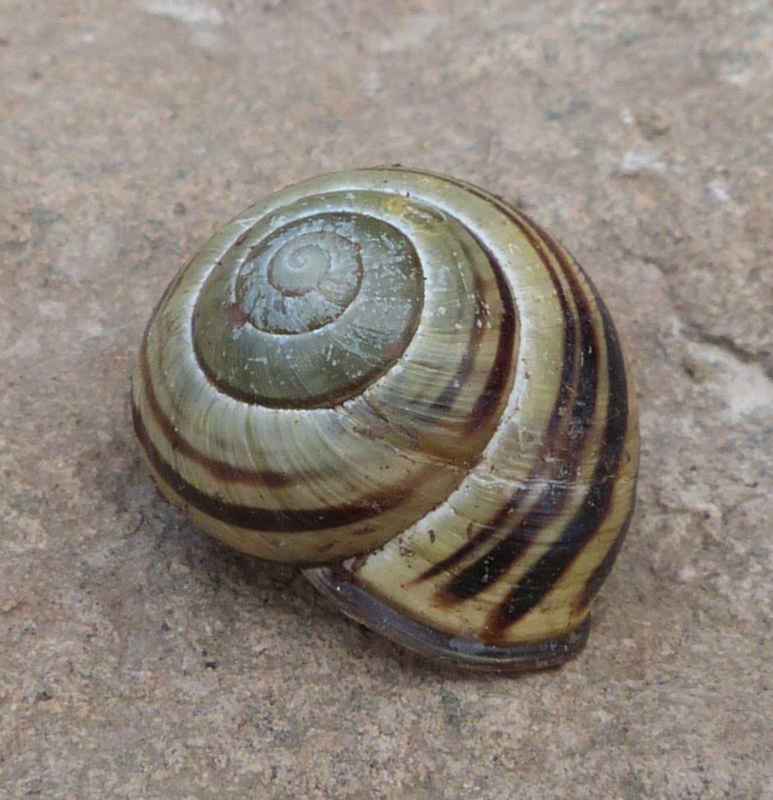 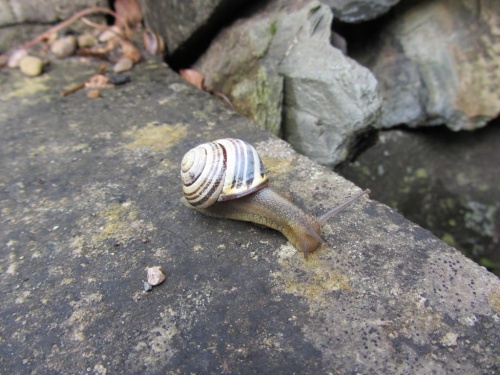 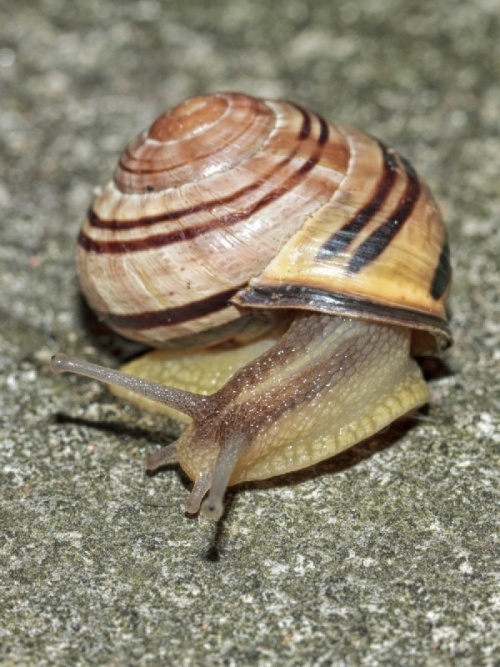 Also known as the Banded Snail, this is the most colourful and variable snail in the UK. 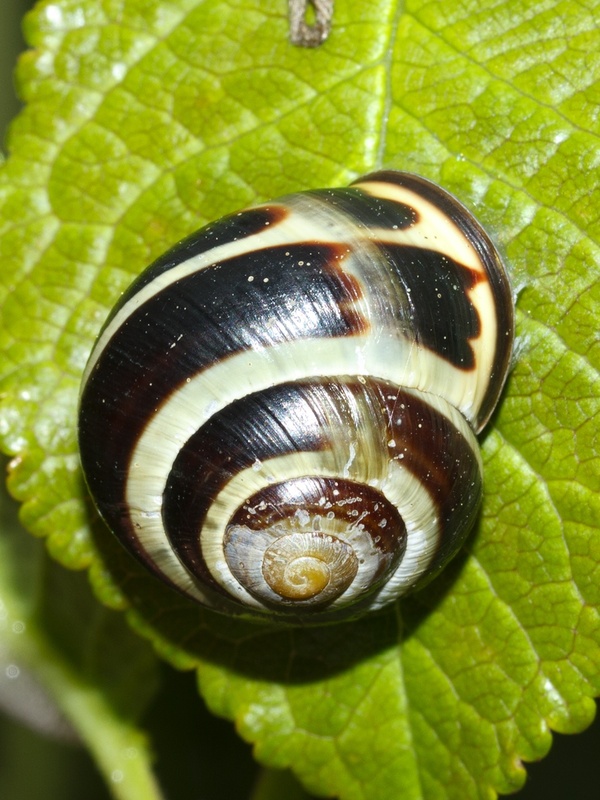 The shell may vary in colour, and in the presence of banded patterning. They can be yellow, pink or brown and can have up to five horizontal bands across their shells or none at all. It nearly always has the dark rim at the lip of the shell opening. 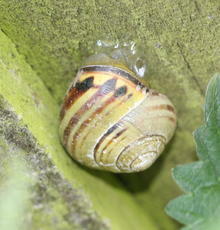 The shell can reach a height of about 20 mm and a width of 25 mm. 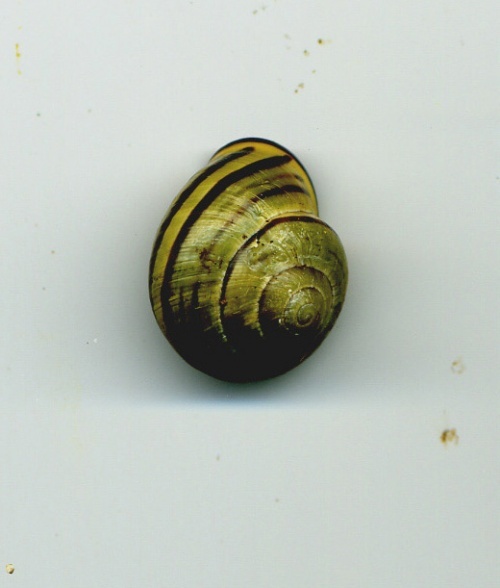 The surface of the shell is semi-glossy, and it has from 4.5 to 5.5 whorls. 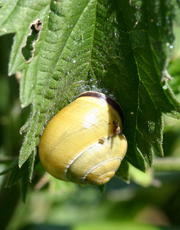 It occupies a range of habitats including woodland, grassland, hedgerows and garden shrubs. Plant feeder on a wide range of fresh vegetation. 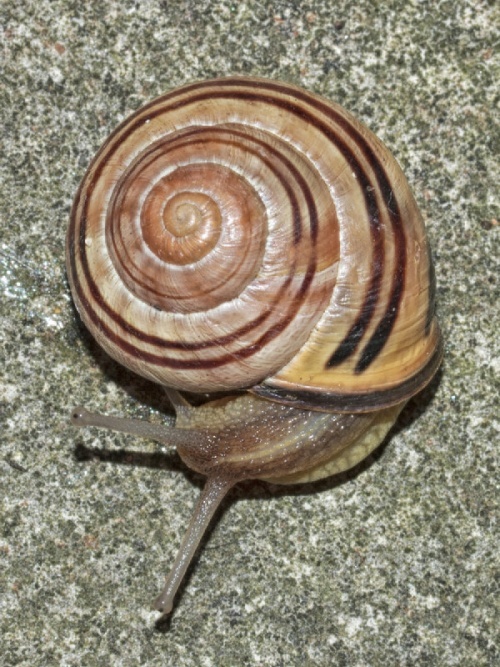 Common and widespread over much of Britain except in the far north of Scotland.